their organization through their channel partners. on improving processes for partners in both pricing and service. people, businesses and society. For more information, visit NEC at www.nec.com. trademarks of their respective owners. 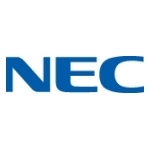 ©2018 NEC Corporation.